I love a good road trip. I have never enjoyed long car rides but to me a road trip is something totally different. A road trip is a chance to see places you have never been, a time to have expected and unplanned experiences, and an opportunity to bond with some of your favorite people. 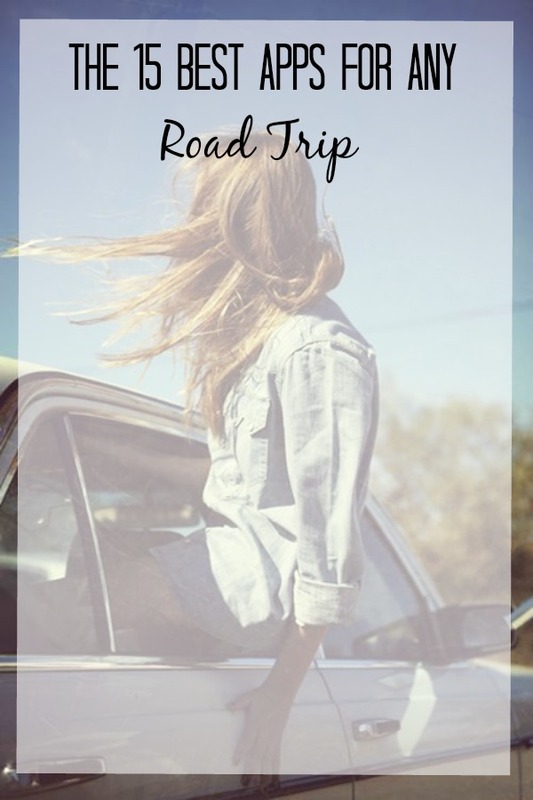 Some of my best stories and adventures have happened during road trips. Due to my love road trips over the last few years I have tried numerous apps to make the trip more enjoyable. Below is my list for the 15 best apps for any road trip. ONE // Roadside America. So you will never miss another quirky attraction on your drive. TWO // Greatest Drive. Helps you find the most fun and beautiful roads to take. Great for those times when you looking to take the scenic route. THREE // Waze. A navigation app that offers multiple routes, notifications about speed traps, and real-time traffic updates. FOUR // Glympse. Updates your preselected friends and family as to your GPS location. FIVE // Scout. A great multi-purpose app. It helps you find the cheapest gas stations, makes personalized suggestions for restaurants and hotels, and it can provide turn-by-turn directions. SIX // Along The Way. Searches along your current route so you can find food, attractions, shops, and landmarks without having to detour. SEVEN // Hotel Tonight. Helps you find last minute deals on places to crash for the night. EIGHT // Spotify. For the obvious reason. NINE // Songza. For when you need to switch it up from Spotify. Songza has some incredibly specific playlists. TEN // Audible. More than 150,000 audiobooks. ELEVEN // GasBuddy. A community app where everyone's goal is too find the cheapest gas. TWELVE // Finery. Allows you to leave and view other travelers comments about the best local spots. THIRTEEN // Open Table. Make out of town reservations at many restaurants during your road trip in a snap. FOURTEEN // iExit Interest Exit Guide. Fills you in on what is available at upcoming exits along your drive. FIFTEEN // RepairPal. A great app because no one wants to be stranded by the side of the road. You input info like the make and model of your vehicle and what you think may be wrong. The app then gives ou a list of mechanics in the area with estimates for the cost of the repair.